It’s an all too common scenario – buyers who search on websites like Zillow will contact their Realtors to ask about homes that are listed as preforeclosures. Eagerly, they will ask about homes that seem like the deal of the century. For instance, a home will show up with a foreclosure estimate of $1 million and it’s in a neighborhood where homes typically sell for at least $1.5 million. Sounds too good to be true, right? Wrong. What exactly is a preforeclosure? In simple terms, a preforeclosure is a property that has late mortgage payments. Due to the late payments, the lender has issued a notice of default (often referred to as an NOD) or lis pendens. Once a notice of default or lis pendens is filed, the owner has a certain amount of time to pay the lender back or resolve the issue to prevent the lender from foreclosing. Unfortunately for buyers out there who see pre-foreclosures listed online, many of these homes are not truly available. Posting these homes online gives a skewed view of the market and what is actually an option to buy. Furthermore, the “asking”’ prices are often very unrealistic. For anyone who is in the market to buy, it is important for them to know what options truly exist so that they can gauge how competitive they need to be with making offers. If buyers think there are more options, or worse yet – better deals to be had – they may miss out on other homes while they are holding false hope for homes that are not actually on the market. If the homes are not truly available now, why are they even listed online? It seems as if they are just adding confusion to an already complicated market. It turns out there is some information that buyers can glean from preforeclosure listings. First of all, these homes may eventually go on the market. If the seller is having some sort of difficulty paying the mortgage or some other issue, they may need to sell. However, it is important to not confuse the pre-foreclosure estimate for an actual listing price. In our current market, which is quite healthy and robust, sellers typically want fair market value. It is very rare to see a seller “give their home away” when market conditions are so favorable for sellers. While each situation is different, it is best to take into consideration what the home is truly worth, and base an offer price on concrete facts like the comparable sales, condition, location, etc. A word of caution for buyers out there – if it seems too good to be true, it probably is. 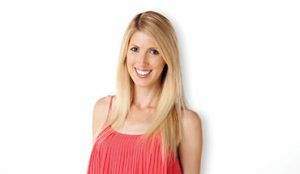 Holly McDonald is a Realtor with Villa Real Estate who lives in Newport Beach and has been featured on HGTV’s hit show, “House Hunters.” She can be reached at HSchwartz@VillaRealEstate.com.